CNAB, which has been developed in partnership with Microsoft, aims to reduce the complexity of running multiple services packaged together. It promises to be capable handling multiple inputs such as Kubernetes YAML, Helm charts, Docker Compose files, CloudFormation, Terraform or ARM templates all in a single package, and is cloud agnostic in terms of the environment that it can run on. 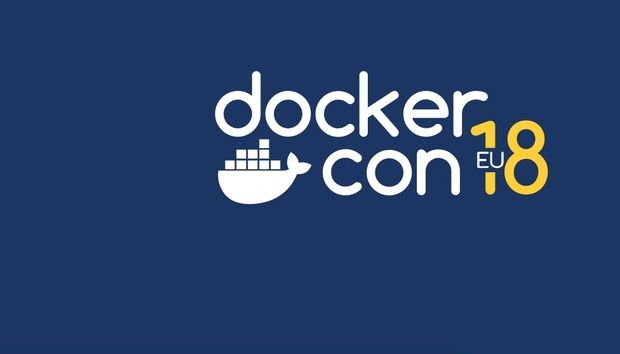 Johnston explained at a media roundtable during Dockercon Europe 2018 in Barcelona that the company had been working on addressing this problem for some time, based on feedback from customers and the wider developer community. Then, roughly a year ago "Microsoft came knocking" reporting a similar set of challenges around managing complexity. "Over the course of the year you'll see more and more adoption gathered around this," said Johnston. "Not only Docker containers, but you'll see this become the universal standard for distributed applications. And, really important, this is not a Docker proprietary thing, this is not a Microsoft proprietary thing, it can take Compose files as inputs, it can take Helm charts as inputs, it can take Kubernetes YAML as inputs, it can take serverless artifacts as inputs. "CNAB unifies the management of multi-service, distributed applications across different toolchains into a single all-in-one packaging format. The CNAB specification lets you define resources that can be deployed to any combination of runtime environments and tooling including Docker." "We walk into organisations where they're trying to manage thousands of Compose files, and they're saying, 'gosh, this is really a challenge from a version management standpoint'," said Johnston. "They're managing one set of compose files for their staging environment... a separate set of compose files for their production environment... and they're like, we can make this work, but can you guys make this easier for us?" "That same workflow, that same lifecycle stage works with a Docker App artifact or a CNAB artifact," Johnston said. "What's really important here is that this is not confined to Docker Compose... the fact is, it's immutable, and yet we've externalised the parameters you can change depending on the environment - that's what's going to get away from having to have multiple copies of the same app depending on the environment. We're sure that most would agree if you took a shot whenever you heard 'complexity' at a developer or cloud infrastructure conference you'd be dead within hours if not minutes. There appears to be a burning appetite to deploy and manage complex environments without necessarily having to rely on the experts, important though they are.